If you want to really see North America, one of the best ways to do it is on the back of a Harley Davidson. You can choose from a huge range of different motorcycles, safe in the knowledge that whichever one you choose has been made for exploring. All of the best known models like the Electra Glide Classic, the Fat Boy, the Road King and the Street Glide Trike are available, so you can find the ideal design to suit you. One of the best bits of a Harley Davidson holiday is that you have freedom to self ride or take advantage of one of the fully guided tours led by knowledgeable professionals. Whether you want to take a little jaunt from Las Vegas to the formidable Death Valley for the day or go further afield and ride out from Phoenix to the mighty Grand Canyon, Bon Voyage will be able to put together the ride of a lifetime. Driver requirements. All drivers must be 21 years or over and have a valid driving licence held for at least one year. It must qualify you to operate a motorcycle, scooter or trike in your own country. You will also need a major credit card as a security deposit will be taken by the rental office when you collect your bike. This will be held until the Harley has been returned. Insurance. Many travel operators will sell biker holidays without insurance, but at Bon Voyage, we refuse to do things that way. We include the enhanced VIP theft and damage waiver along with the supplemental liability cover insurance (SLI) so you can be sure you’re covered if anything goes wrong. 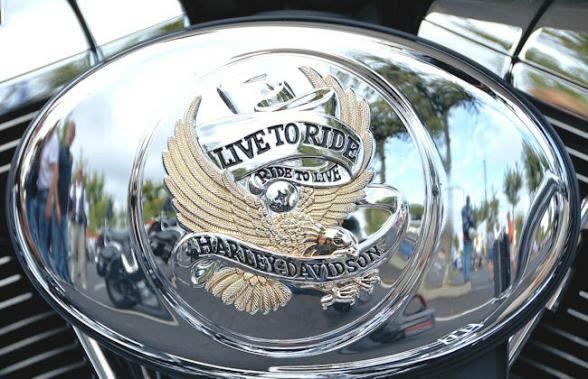 You’ll also be pleased to know that all of our Harley Davidson holidays come with unlimited mileage, so you can cruise with ease and peace of mind. Equipment. It is absolutely essential to wear a crash helmet at all times when you are riding your bike. Helmets are provided with all motorcycle holidays, but if you have your own then feel free to bring it with you. Luggage. 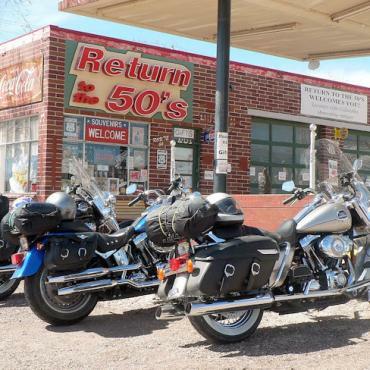 There is limited luggage space on the Harley but there are different storage options available that your Bon Voyage Travel consultant will discuss. If you’re doing a one-way itinerary, your luggage can be sent to your final destination. Collection. A one-day rental is based on a 24-hour period, so it’s easy to plan the day around this. When you arrive at the depot, you’ll receive an orientation on your bike from friendly knowledgeable staff. They will cover all aspects of the bike operation and maintenance responsibilities. They will also advise you of the local and state laws. 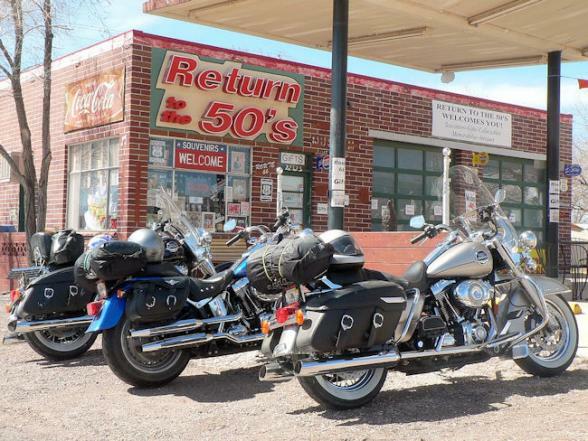 It goes without saying that Route 66 is one of our most popular Harley Davidson holidays. The Mother Road from Chicago to Los Angeles is irresistible to many, with the twists and turns of the 2448-mile route through eight states just stretching out ahead of you, excitement waiting around every corner. This is one of the best ways to see the real America, allowing you to make the stops you want along the way and discover what the USA has to offer.